Verizon said Wednesday that it will start work on fixed 5G customer tests with partner Samsung in several markets in April. Samsung tells Light Reading that the tests are purely focused on fixed wireless at the moment. The tests will take place in New Jersey, Massachusetts, Texas and Washington, D.C., with a fifth location in Michigan starting trials later in the second quarter. The various locations will help to test varying terrain, neighborhood layouts and population density. 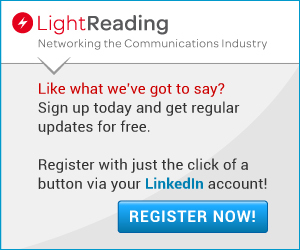 For all the latest news on 5G, visit the 5G site here on Light Reading. Verizon will use its own 5G radio specification for the test. Equipment from Samsung will include a customer premises (CPE) unit with an adjustable 28GHz antenna, network infrastructure and a core network. In pre-commercial testing, which began in December 2016, Samsung said the "system demonstrated multi-gigabit throughputs at radio distances of up to 1,500 feet (500 meters) across each of the different environments selected for the customer trials." That's just over a third of a mile. In theory, this means that Verizon could put up a 5G small cell about every two and a half blocks in Manhattan to provide fixed coverage. We don't know yet how many users on the network will be supported, but the customer trials will presumably help the operator learn more. Being first to 5G -- albeit the fixed variety -- should help Verizon get some of its technical mojo back. It was first with 4G LTE but has subsequently faced tough rivalry in that field. AT&T may not be far behind in 5G, however. It has said that it will have a fixed 5G trial for DirecTV customers in the first half of the year, although Verizon's announcement appears wider in scope and ambition. The tests could be very significant for Samsung's network business, too. If the tests translate into commercial service it could mean a large multi-year contract with America's largest wireless provider. Yeah that has long been the knock on millimeter wave, but with all of the brains tinkering with it (Verizon, Google, Starry, on and on) perhaps they've finally got things sorted. PC Magazine has the first look on the Samsung 5G router. "The spectrum Verizon intends to use, 28GHz "millimeter wave," is picky. Shamsunder says that with a clear line of sight, it can go several kilometers from a cell site, but in dense suburban areas, they'll have to put cell sites every half-mile or so." That sounds notably more promising than Verizon's last effort. Certainly makes installs easier. Thanks! "DO we know if this new 5G service will require a roof-mounted "cantenna" like their previous experiments with fixed wireless services?" No, you just need to place the Samsung 5G router near a window. That's all Samsung requires of you to make their system work. Yes, replacing DSL lines they don't want to upgrade has long been the goal. DO we know if this new 5G service will require a roof-mounted "cantenna" like their previous experiments with fixed wireless services? "Verizon also plans to test 5G mobile service later this year." KDDI and Samsung Electronics have completed a 5G handover trial in Japan. The 5G multi-cell handover test used the 28GHz spectrum to be conducted in a real outdoor environment, on Tokyo's metropolitan expressway amongst towering skyscrapers. KDDI and Samsung said the 5G handover was successfully carried out in a test divided into two scenarios. First, a 5G device mounted on a vehicle that travelled at a speed limit of 60km/h drove between two 5G base stations on a metropolitan expressway. The second scenario was designed to verify the characteristics and performance of the 28GHz spectrum in Line of Sight (LOS) and Non Line of Sight (NLOS) environments. At the LOS environment, the vehicle drove through the heart of the city and as a result, a maximum throughput of 3.7Gbps was achieved, the partners said. Verizon will begin offering 5G to pilot customers during the first half of 2017 in the following metropolitan areas: Ann Arbor, Atlanta, Bernardsville (NJ), Brockton (MA), Dallas, Denver, Houston, Miami, Sacramento, Seattle and Washington, D.C. The interesting question is will the 28GHz coverage be limited to select sites or actual coverage across the cities? They've long made it clear that 5G is their ultimate solution to those DSL Networks they refuse to upgrade. Though I imagine how palatable that is to users will depend on usage caps and price.